Usually, calculating your BMI (body mass index) can give a good indication of whether or not you’re in a healthy weight range according to your height, weight and age – but BMI calculations on their own can have its failings. It can’t, for instance, detect muscle (which is heavier than fat) meaning your average professional rugby player would likely walk away with a BMI reading placing them in the obese range. Even though they’ll likely be carrying a lot of muscle tissue, likely they’ll be carrying some fat too. The good news is, there’s one thing that the medical community can agree on when it comes to health and weight: the dangers of belly fat. If you’re looking to lose weight and get that stomach reduced then, read on. What really is belly fat? Belly fat is the fat that sits around your abdomen. It’s also known as visceral fat because it surrounds your viscera, the internal organs around your stomach. Visceral fat can have an active, negative effect upon the normal functions of your body. This is because it produces toxic chemicals called cytokines that are thought to increase your chance of heart disease, reduce sensitivity to insulin (increasing your risk of diabetes), and cause inflammation – a leading cause of certain cancers. Another serious condition associated with belly fat is high blood pressure. Belly fat is problematic because it can be prevalent in both men and women who are otherwise slim and healthy. In fact, it’s possible to have a healthy BMI whilst bearing fat around your middle. Another aspect of the problem is that, while many people make an opinion based on a set of scales, they won’t be in the habit of measuring their waist and body fat percentage – so they may not be aware that they even have a problem. According to the NHS, regardless of your BMI, men should address losing weight if their waist is 94cm (36in) or more. If you are a woman then you should try and lose weight if your waist measures 80cm (31.5in). You are at a much higher risk and should speak to a professional if your waist is 102cm (40in) or more for men, or 88cm (34in) or more for women. Put simply, belly fat is associated with how many calories you consume and how much energy you burn. If you eat too many calories and use too little, you’re likely to put on excess weight – which means building fat up around your belly. 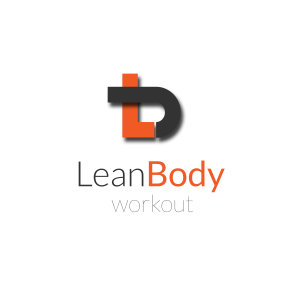 A lot of our clients at Lean Body come to us with this issue, without being aware of how serious this can be if not tackled correctly. Some people are more prone to developing belly fat than others, due to their genetics and their age. The older you get, the more prone you are to losing muscle, particularly if you’re not active. This, in turn, affects how you burn calories and keep excess fat off. As a result of this, older men typically need to eat slightly fewer calories than younger men. Alcohol is also a cause of belly fat. It is deceptively high in calories and can contribute towards weight gain. Though a large stomach is often referred to as a ‘beer belly’, drinking any kind of alcohol in large quantities can cause you to put on weight and develop visceral fat if calories from food or alcohol are not managed correctly. Eating Healthy Compared To Eating For Fat Loss Can You Really Transform Your Body?